All the projects are going well this week. The first round of integration testing has been completed and the second round will be carried out next week. Completed the data structure refactoring of the smart contract status. Completed the tracking function of the smart contract temporary status. Completed the real-time tracking and query function of smart contract status. Completed the security processing of the smart contract unified access. Completed the integration of signature components. Completed the acceptance of the first round of testing. Completed the simulating service of smart contract settlement order. Completed the main function of the K-line graph. ASCH has joined in the Bitalk, an information media in blockchain industry. Bitalk is dedicated to providing users with fresh and interesting news and information about blockchain and digital currencies, and community services as well, of which the content focuses on in-depth industry reporting and innovative reporting. ASCH has joined in Huoxing24. Huoxing24 is a one-stop blockchain industry service platform for news, information, market and data. ASCH Team has finished drafting ASCH DApp ecosystem development plan and the 101 delegate scheme. 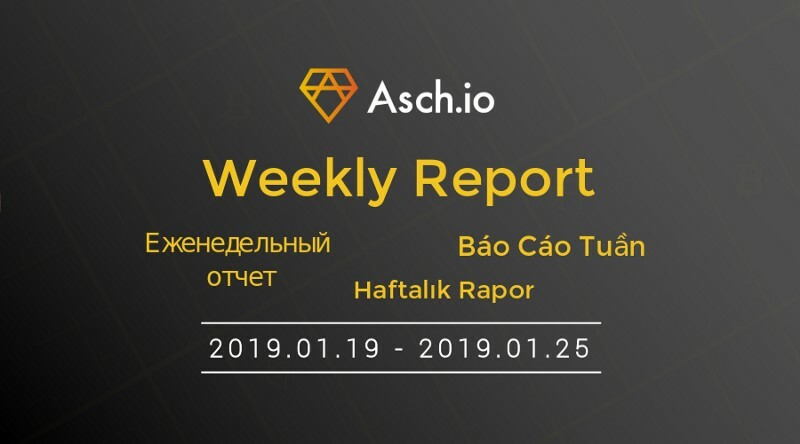 Community members and developers interested in joining ASCH ecosystem and contributing to the construction of ASCH please pay attention to our recent announcement.